Yes, I realize that Earth Day was over a month ago. I was playing in my posts and realized I never finished this one. We had so much fun I didn't want to pass on sharing! It's always fun to celebrate Earth Day in the classroom. Usually there is such a diverse understanding of the day depending on my students background knowledge and family beliefs. Then again, that is just another day in a public education classroom. This year I hunted down some new ideas. 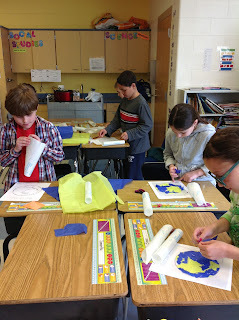 Along with some reading, writing, and math activities, I decided we'd do some crafts too. Honestly, I find that many students don't get nearly enough opportunities to cut, glue, color, paint, and all those other crafty things. So anytime I can incorporate these types of projects, I do. One of our projects this year was creating Earth sun catchers. This was a super simple project using contact paper, tissue, and small piece of red construction paper. Oh and a coloring page of earth to use as a template to keep the water and land somewhat in the right place. Place one piece of contact paper, sticky side up, on top of the coloring page template. Stick green tissue on the land and blue tissue on the water. 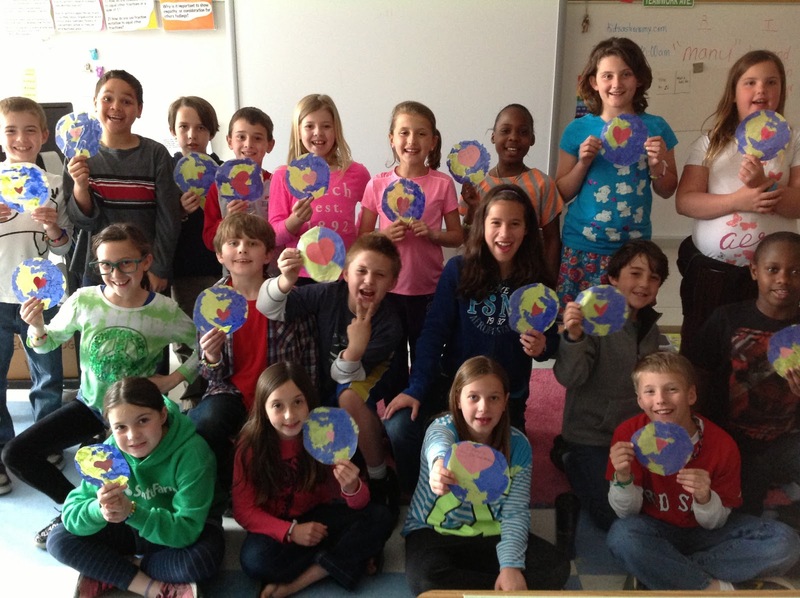 Write an Earth Day pledge on a red construction paper heart and place it wherever you choose. Place another piece of contact paper was then placed sticky side down to seal it closed. Use scissors to cut out the circle (leave a little space outside the circle to keep the paper sealed). Punch a hole in the top and hook on a suction cup to hang in the window. Our other project was creating Earth Day bracelets. Another easy craft using a pipe cleaner and different color beads. Simply put the beads on the pipe cleaner, twist the ends, and voila...a bracelet! Each of the beads represented something so I printed the key on paper so they could share it with their family. 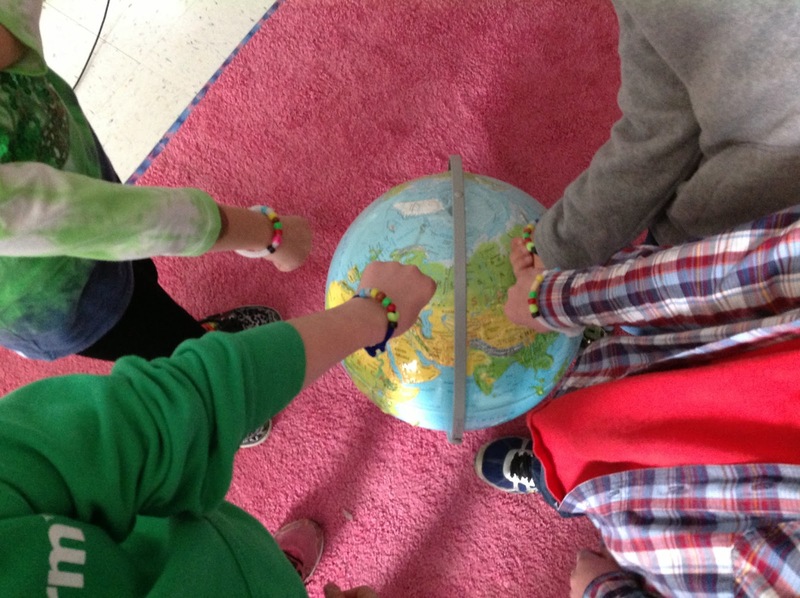 The lesson from the bracelet was that WE are the only thing between the environment and pollution so it is our job to take care of our Earth. The kids loved it! Nothing like bringing fun into the classroom!